We install your theme, perfect plugins and the right options. Installing and setting up WordPress is a little tricky for newbies, especially with all the options available to choose from. It is also essential that you choose the right options and remove unnecessary ones so they may not bug your site, over load or slow it down. Let us handle all that and give you peace of mind. Our team is highly trained and experienced. 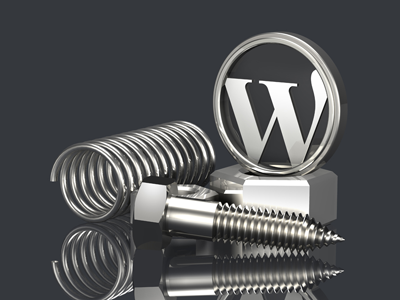 We will install your WordPress theme, choose the perfect plugins with the right options. If during installation you come across errors in the code, or might need a plugin, we do that right away. We setup your emails and newsletters too. We customize it as per your needs. You will be able to send and receive emails from your domain email address. You can also receive all the emails on your Gmail or any other email address, so you can access them anywhere. After the installation and setup, we will also give you detailed orientation of the work and how things work, so you can maintain your website with ease going forward. But, don’t worry. We are here whenever you need us. WordPress is the most popular blogging software on the planet and we can handle all the complications of the installation, while you enjoy the end results. No SEO, No success! We inject your website with built-in search-engine optimization features, that will help your site achieve better results in search engines, like Google, Yahoo and Bing. You got to be social if you want to be known. Our services include social media services, allowing you to be on all social platforms such as Facebook, Twitter, Google+, Pinterest and other social media networks. Using a contact form instead of simply displaying your email address looks more professional and helps reduce spam. Your new website will include a contact form so visitors can easily contact you by submitting their information directly on your website.